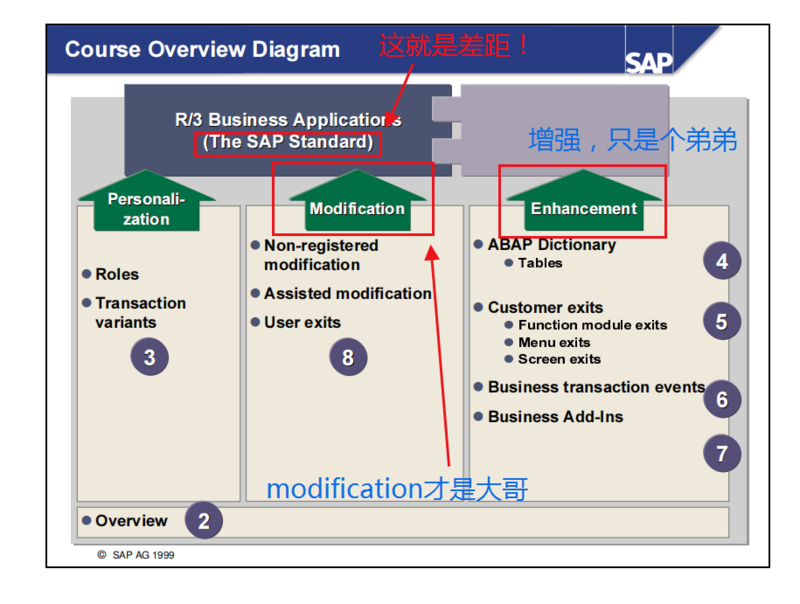 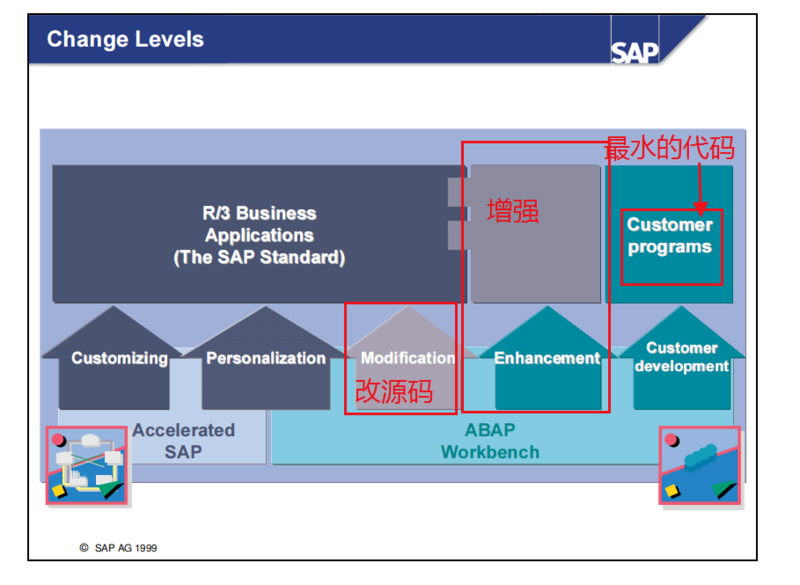 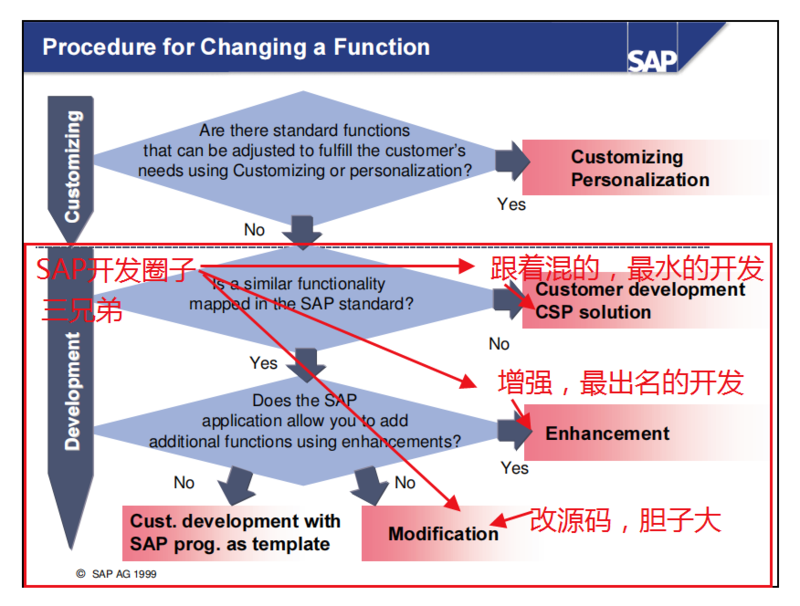 我们作为个开发，如何看待enhancement 和modification这对兄弟呢？There are several ways of enhancing your software without having to actually modify your system's standard. 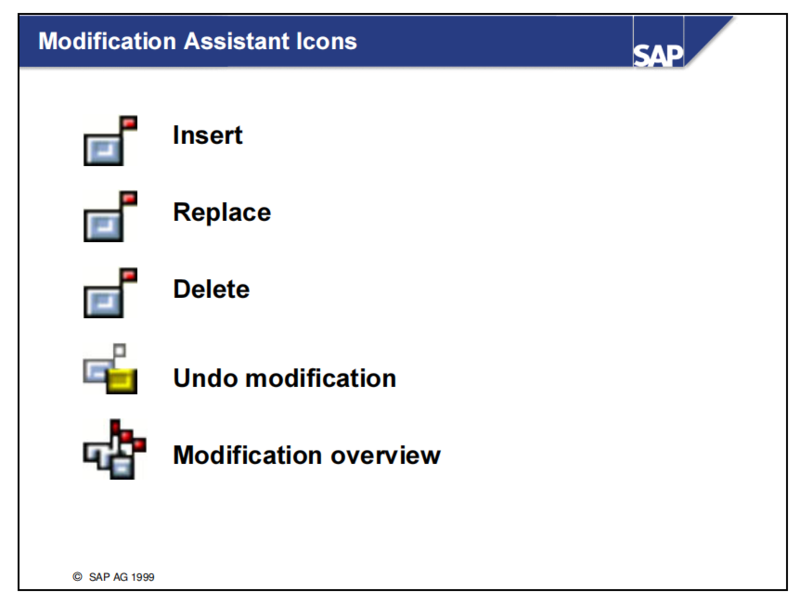 An object is original in only one system.Changes to an original are called corrections. 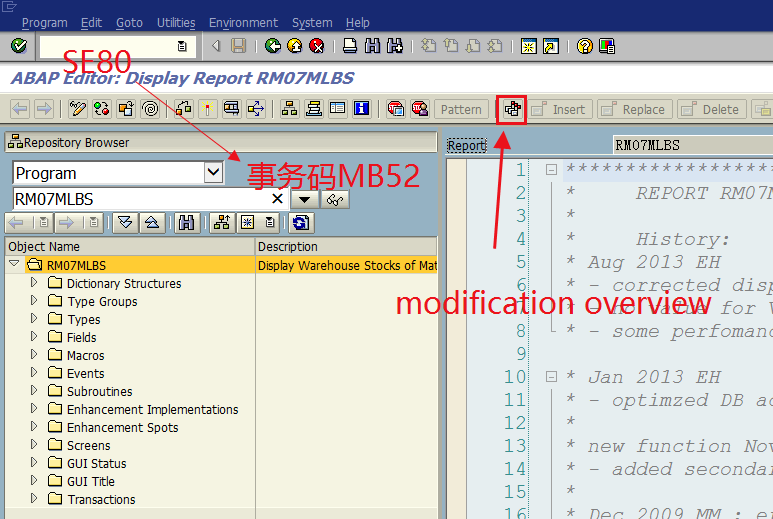 If you change a copy,the change is recorded in a task with the type REPAIR. 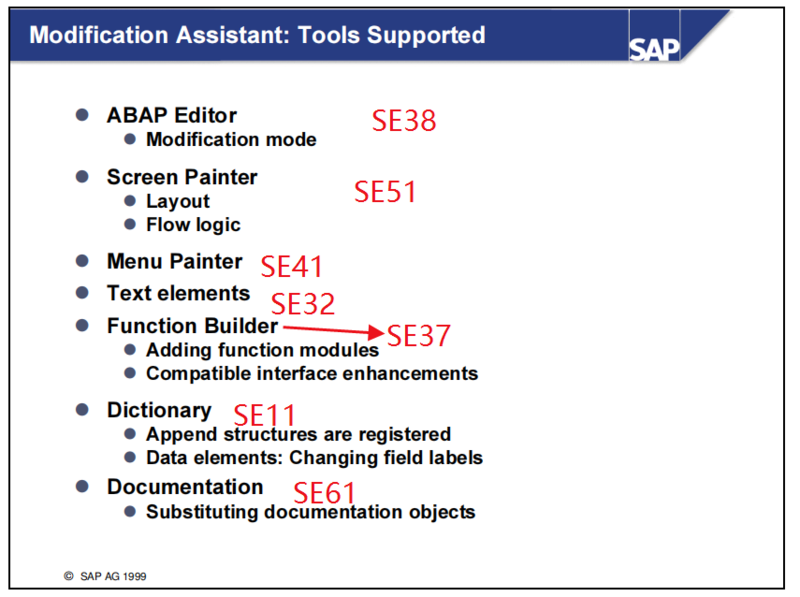 Repairs to SAP objects are called modifications. 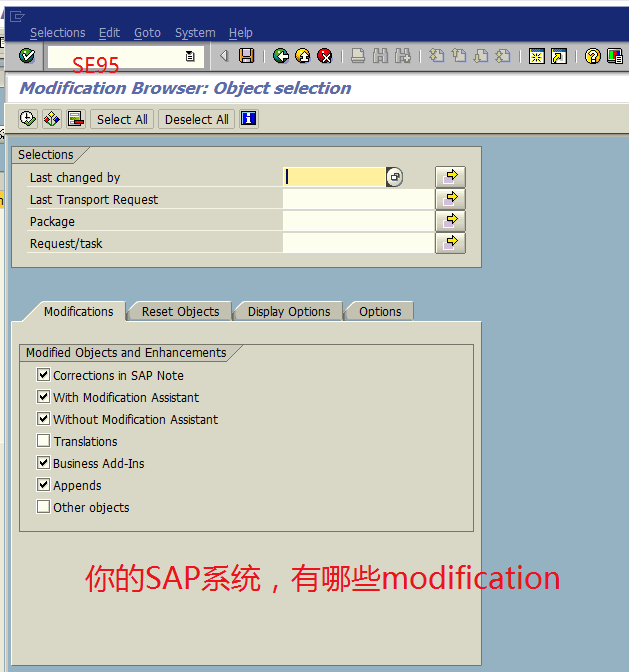 Modification Assistant的出现的目的就是让modification adjustment的过程简单点，“说话的方式简单点”。过去，是吧，modification的视觉形式就是include program level。现在呢，a finer granularity is available。modification可以体现为subroutine or module level.